Ramallah (Palestinian Territories) (AFP) - The Palestinian leadership is weighing retaliatory measures against US penalties, including halting security cooperation, a senior Palestinian official said Wednesday. "It's among possible steps we are thinking about," Hanan Ashrawi, a member of the Palestine Liberation Organisation's executive committee, told journalists in the West Bank city of Ramallah. "We are thinking of many things that can be done," she added. Ashrawi was responding to a question about the possibility of a complete break with Washington, including security ties. The United States has given the Palestinian Authority security forces some $61 million in aid this year, according to the US embassy for Israel. US-based news site Axios reported that a Palestinian security and intelligence delegation was in Washington earlier this month for talks with the CIA. Palestinian president Mahmud Abbas cut off diplomatic talks with the US administration after President Donald Trump recognised the disputed city of Jerusalem as Israel's capital in December. In recent weeks Trump has slashed more than $500 million in aid for Palestinians to push them to the negotiating table in pursuit of a Middle East peace plan that he calls the "ultimate deal". On Monday the US State Department confirmed it was shutting the Palestinian diplomatic mission in Washington, saying the Palestinians were not supporting peace talks with Israel. Palestinian leaders say Trump's White House is blatantly biased in favour of Israel and is seeking to blackmail them into accepting its terms. 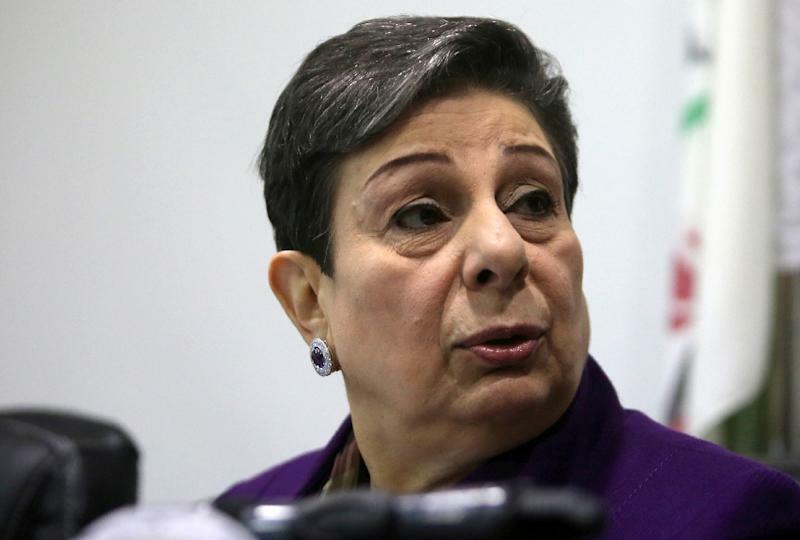 "This American administration has adopted wholesale all the positions of the most extreme, rightwing, hardline, racist Israeli government in the history of Israel," Ashrawi said. She said that the Palestinian leadership would discuss possible responses after Abbas attends the UN General Assembly meeting in New York later this month. Israeli Prime Minister Benjamin Netanyahu on Wednesday welcomed the US decision to shut the Palestinian mission in Washington. "The US made the correct decision when it decided to close the PLO offices in Washington," he told members of his cabinet. "The (Palestinians') refusal to enter into negotiations with Israel and the unbridled attacks against Israel will not only not advance peace but will certainly not make things better for the Palestinians," he said.